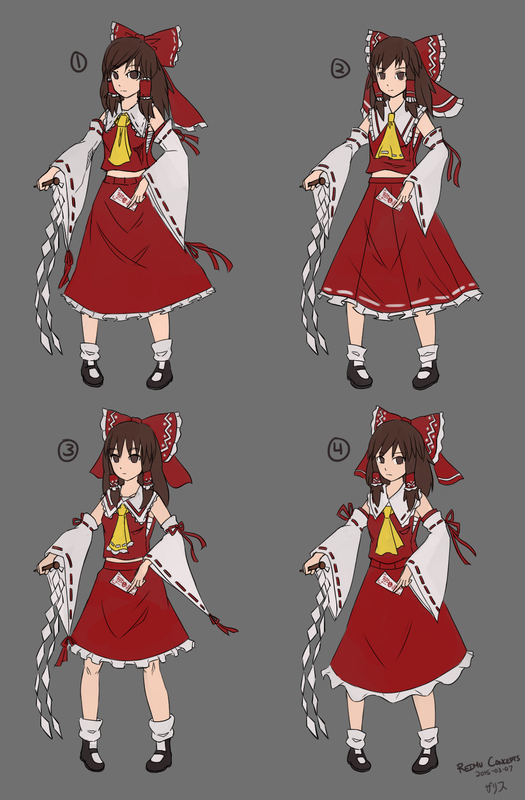 These are concept designs of Reimu Hakurei. I did these designs before I go onto the model sheet. It's good to do so I don't stick with one design and have variety for the best design for this project. Please pick the one you like the most, or explain which part you like most. I will draw a final design and work on the model sheet for the modeler. I personally favor number 2 of this batch as the design stands out the most. One thing is, while I do like the midriff, I think it slightly detracts from the overall design.